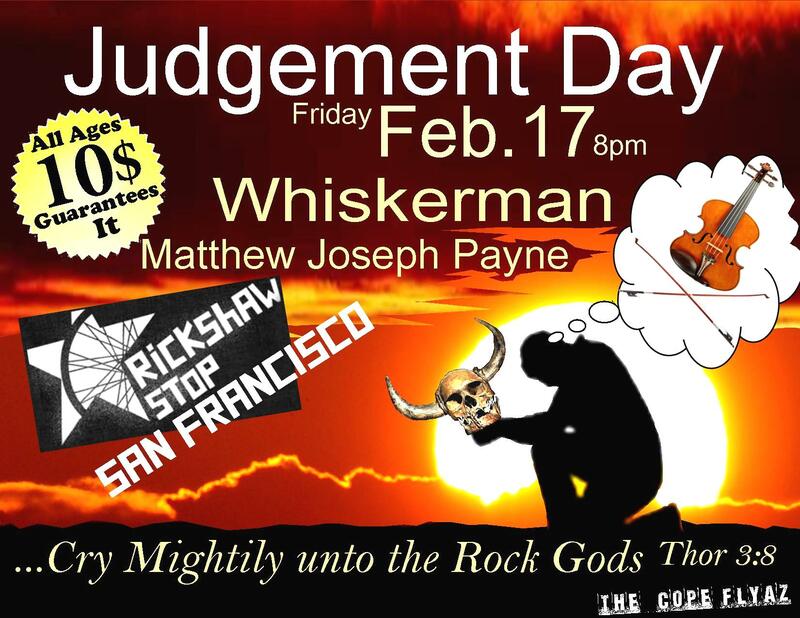 Friday 2/17 – Two of my bands, Judgement Day and Whiskerman, are playing at the Rickshaw Stop in San Francisco this Friday. In terms of time invested, you could say these are my two main bands. This is Judgement Day’s first show since July, and we’re very excited to play again. Opening the show is Mathew Joseph Payne, an old friend and very creative musician. 9:00, $10, all ages. Note for East Bay show-goers: The Bay Bridge westbound is closes at 8 pm, but Bart is open all night. The Bay Bridge eastbound, however will remain open, so come early for dinner and a show and you’ll be groovy. 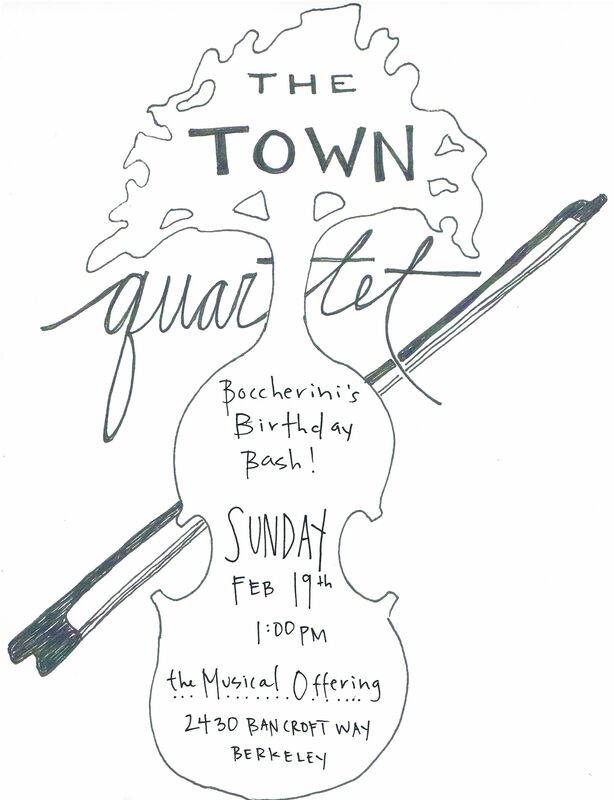 Sunday 2/19 – The Town Quartet celebrates Luigi Boccherini’s birthday at the Musical Offering Cafe and Bistro in Berkeley. We’re playing 2 cello quintets with Brady Anderson and a guitar quintet with Koward Kadis. 1:00, donation, all ages. Thanks to Monica for Making the Flier! Sunday 2/19 – The Mana Maddy Band is playing at the Cricket Engine gallery in Oakland – 499 Embarcadero at 5th ave. 8:00ish, free/donation/not sure, all ages. Sunday 2/26 – The (almost) same Town Quartet/Opera on Tap show at the Musical Offering in Berkeley. 12:00, donation, all ages.